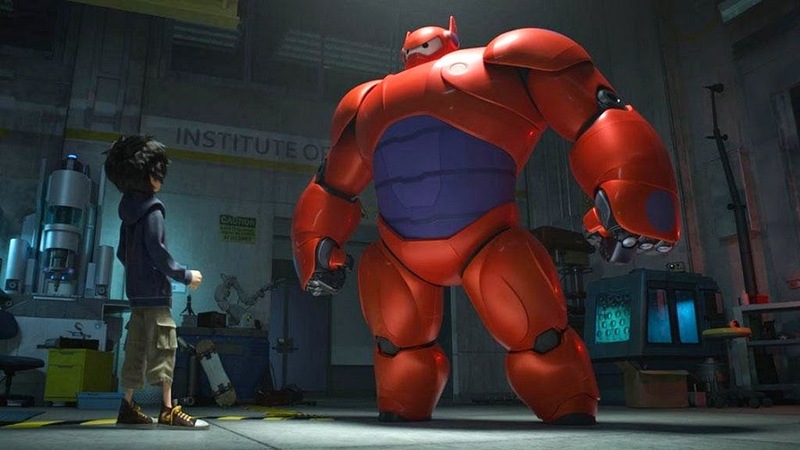 When it was first announced that Marvel was joining the Disney family, we all got excited at the prospect of Pixar animated superhero movies. It seemed only a matter of time before this new corporate synergy bore cartoon fruit and now it seems that time is at hand, although it's Disney Animation and not Pixar has answered the call. For a better look at the rest of the team, check out these character images over at Ain't It Cool. TJ Miller's character apparently turns into some kind of fire-breathing demon creature, so obviously I'm on board. Maybe we'll get really lucky and somehow these guys will make their way into the Marvel Cinematic Universe, interacting with Robert Downey Jr. and Scarlet Johansson, Who Framed Roger Rabbit-style. Marvel will be hitting San Diego Comic Con in full force next week, so I'm a little surprised they didn't save this to premiere at their Hall H panel. Maybe they'll show a longer sizzle real that will only make its way onto the interwebs in Google Glass-captured bootleg form.